Limited Edition 12inch Picture Disc! 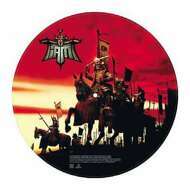 Maxi Picture disc of mythical album "L'Ecole du Micro d'Argent". This edition includes the very popular instrumental and acapella versions of the song "L'Ecole du micro d'argent" and the US verson of this one. I AM is an unique group in the history of French Rap!